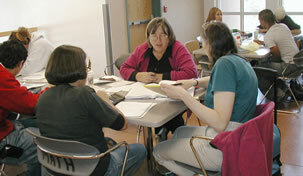 The Mathematics and Statistics Tutoring Center offers help desks for several of our courses. A link to the hours at which a TA or instructor is available for a given course is given below. In Spring 2019, the tables will be staffed starting on Wednesday January 16th. Please give us your feedback on your visit to the Center. We want to hear your suggestions and whether it filled your needs.